United Sign: The Company Picnic! From a personal perspective, I like many others thought "Ok, I better go and put an appearance in..." but when I got there I saw a little more than I expected. Keep in mind, I am fairly new and wasn't expecting what I saw. There were games for kids and adults, there were treats like popcorn and cotton candy (I nabbed a bag of cotton candy and threw it in the car so as not to be suspect grabbing a kids treat). There was food, there was music and there was a relaxed and casual atmosphere and people were gladly willing to pitch in and help get things set up, pulled off, cleaned up and torn down. Conversations were had, people checked up on each other, kids got dirty, parents got blasted with silly string....it really was a great day that managed to get everyone to forget about work and just have a nice time. 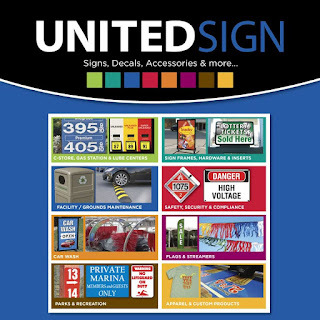 Usually, we try to focus on making your business better with our offerings at United Sign. Usually it's some advice how to look your best outwardly, but it's important too to take a look inward at your company and remember that it's truly the people within your company who make you shine. Not everything has to be a high priced endeavor and not everything has to even have a spot with a "pavilion" but the occasional reminder to those who help make your business a success day in and day out is as important as any advertising campaign, as important as any weekly meeting to go over what's going right and what's going wrong and it's also equally important to bring some levity to the never ending push for a better job with more focus and drive. It doesn't even need to be a company picnic. Just the occasional stop and chat and offering of "thank you" for a job well done! Thank You, to all of our employees for what you do! You are truly appreciated.